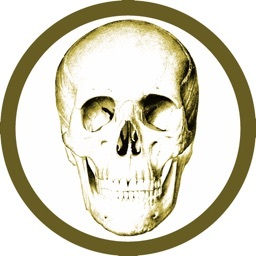 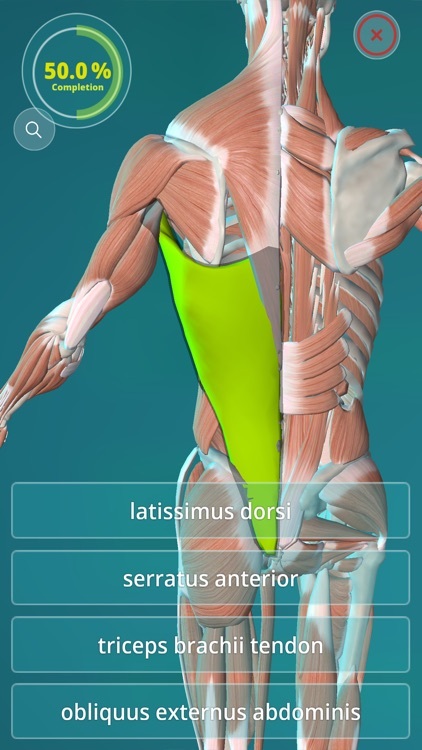 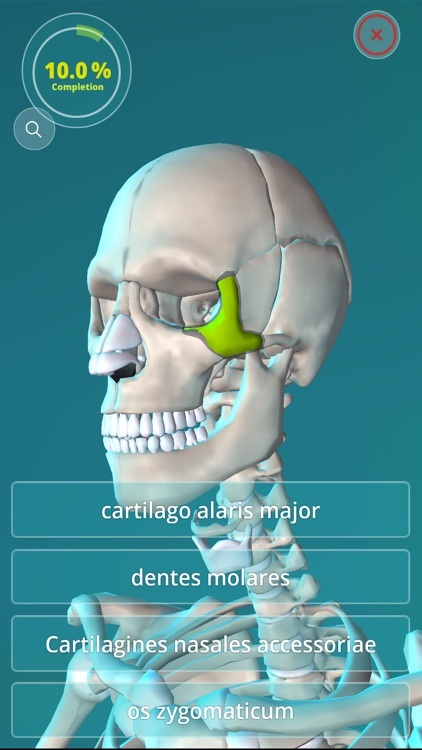 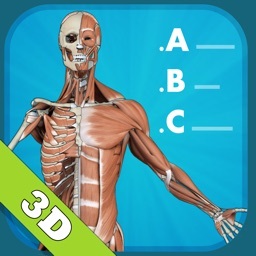 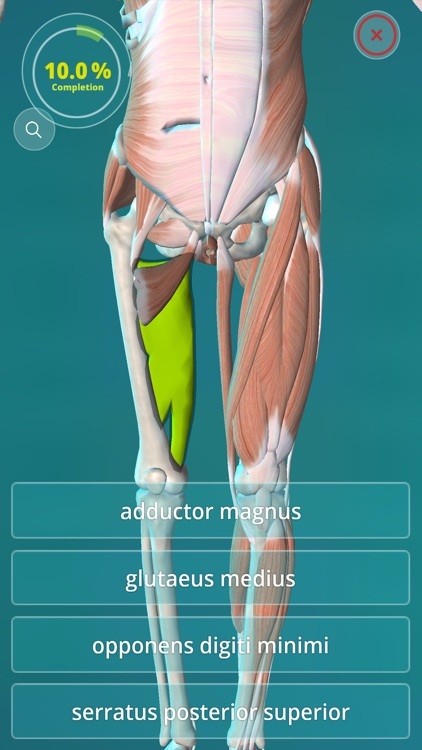 Test yourself and simultaneously learn the (Latin) names of all bones & muscles! 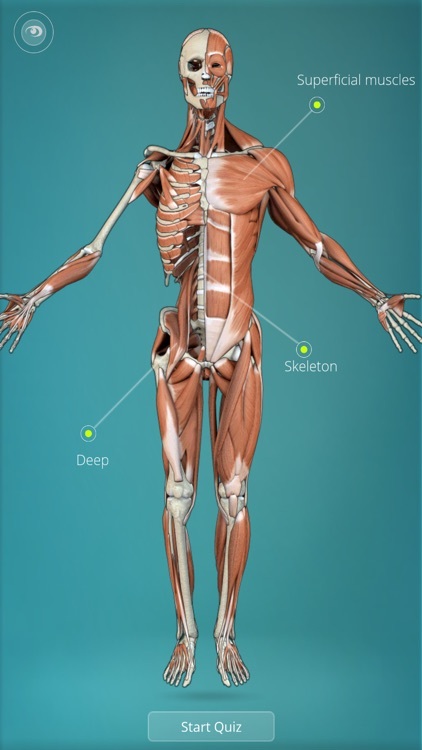 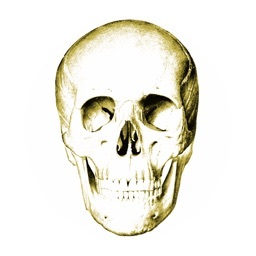 Choose or combine different aspects; bones, superficial muscles and/or the deeper muscles. 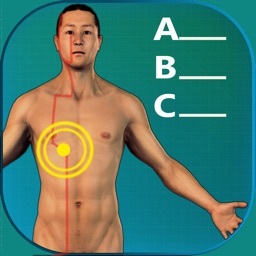 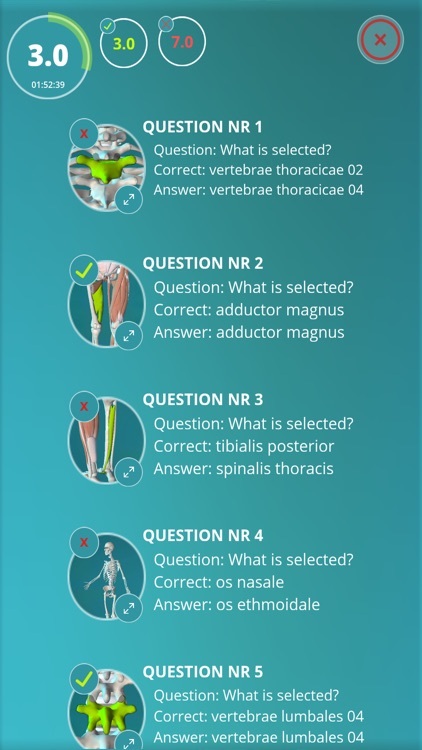 At the end of each quiz a results screen will be shown, displaying the correct & incorrect answers, along with screenshots and what the correct answer should have been.